Keeping your home secure and safe from weather is important. For most people keeping a roof is good condition is important because a home is their most valuable investment. And protecting your home means protecting your investment as well as your family in severe storms. A popular roofing material used on most homes is shingle roofing in Canton Michigan. 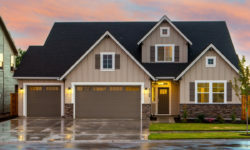 In fact, most homes in Michigan have this popular roofing choice simply because it works and it’s affordable among many other advantages which we’ll cover in this article. One common misconception that home owners have about roofing is that once a roof is installed the same materials must be installed on the roof. This actually is not true and most homes can have almost any type of roofing material can be used. Of course, there will be some changes and such that will need to be done. So, even if you have metal roofing installed on your home you can still have shingle roofing on your home in Canton Michigan. 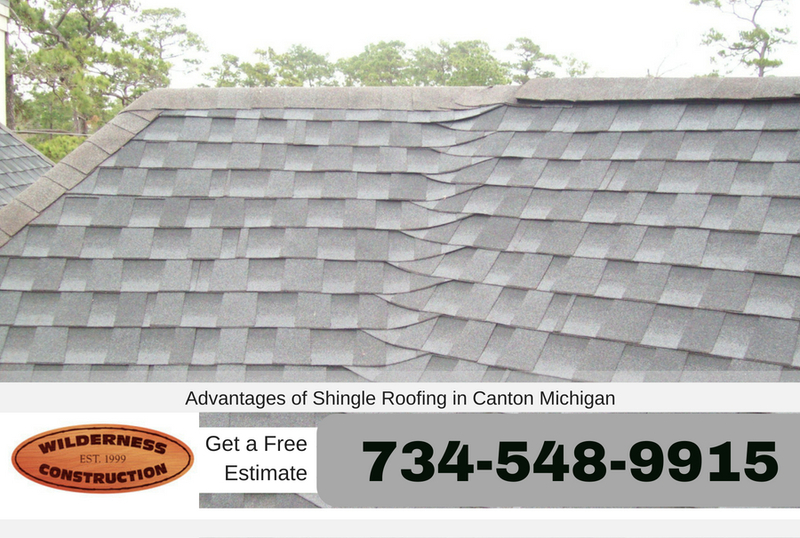 Here are some of the advantages of having shingle roofing installed on your home in Canton Michigan. The most common type of roofing material used in Canton Michigan today is asphalt shingles. Shingle roofing is available in multiple colors, and shingles are loved due to their overwhelming advantages over other types of roofing materials. There are various types of shingle roofing available today. Examples of these include asphalt, fiberglass, organic, slate, 3-tab, wood and tile shingles. However the most common of all these is asphalt shingle roofing. But they all deliver the collective benefits provided by shingle roofing material. 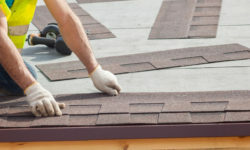 Read on to discover the advantages of shingle roofing and why it is best to call a roofing contractor in Canton Michigan to install them in your home. Asphalt shingles are some of the most affordable type of roofing today. They are also easily available and most roofing contractors will service this roofing material. A call to your local roofing contractor will help you with any type of shingle roofing project you need help with. In addition to that, shingle roofing lasts for a very long time. As a matter of fact, asphalt shingles have an average lifespan of 20 years with some lasting over 50 years. This makes them an excellent roofing material and a good investment as well for your home improvement project. Shingles are quite easy to install. This allows a roofing contractor to complete your roofing process in record time. It is important to note that the length of time that it takes a contractor to finish roofing your house depends on a number of factors. Examples of these are the size of your roof, the strength of its frame and trusses as well as the predominant weather conditions. An additional advantage is that repairs on shingle roofs can be performed quickly and easily. A major advantage of shingles is that they can be installed on any type of roof. This is because they do not require any special accessories for proper installation. As such, they are compatible with roofs that have vents, chimneys and steep slopes as well. There is a wide range of shingle roofing styles in the market today. Shingles are made of a collection of materials and available in different colors, textures, sizes and prices. As such, you are guaranteed to find a type that fits your home’s architectural style and color scheme. Furthermore, there are shingles for every budget. You can get composite shingles that are specially manufactured to be flame retardant. They have a class A fire protection status. Therefore, should a fire unfortunately break out in your home, there is enough time for you and your family to leave the house and head to safety. Want to learn more about what shingle roofing can do for your home? Be sure to get an estimate on shingle roofing today from A2 Roofing. They have qualified roofing professionals ready to help you with a new roof installation, roo repairs, and more. Call today at 734-548-9915 for more information.